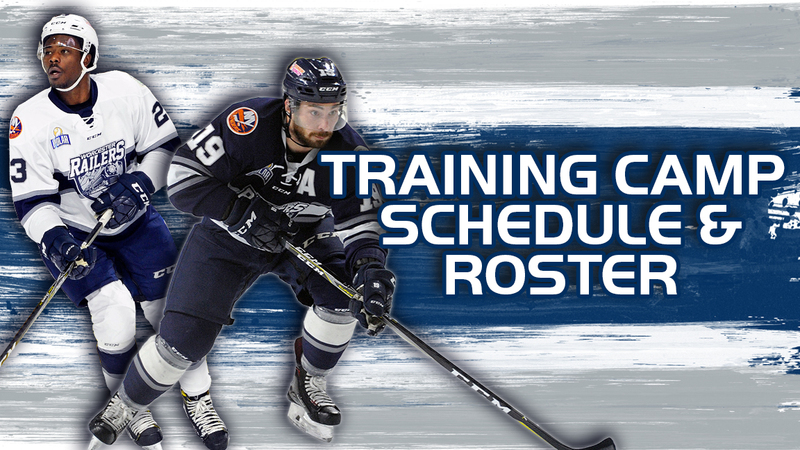 WORCESTER, MA – The Worcester Railers Hockey Club (@RailersHC), proud ECHL (@ECHL) affiliate of the New York Islanders (@NYIslanders), and Railers HC General Manager and Head CoachJamie Russell(@JamieRussell18) officially announced today the 2018-19 training camp roster and schedule. Friday – 10am-11am, 6pm-8pm Blue vs. White inter-squad game at the FBWIC. Saturday – 7pm Worcester will play an exhibition game vs. the Maine Mariners at the Rinks at Exeter in Exeter, NH. The game is open to the public and free of charge. 24 players will hit the ice on Monday, Oct. 1. Below, find a breakdown of the training camp roster. Forwards (12) – Tyler Barnes, Nick Sorkin, Dylan Willick, Josh Holmstrom, Josh Anderson, Bryan Arnerson, Barry Almeida, Nick Bligh, Woody Hudson, Tommy Kelley, Tommy Tsicos, Trent Durocher. Defensemen (8) – Tommy Panicio, Alex Vanier, Ryan MacKinnon, Kyle McKenzie, Tyler Mueller, Tyler Palmer, Connor Doherty, Pat Condon. Goaltenders (4) – Charlie Millen, Evan Buitenhuis, Mitch Gillam, Ryan Hubbard. Find a more detailed training camp roster here. Make sure to follow along on all our social media accounts for daily updates from camp.